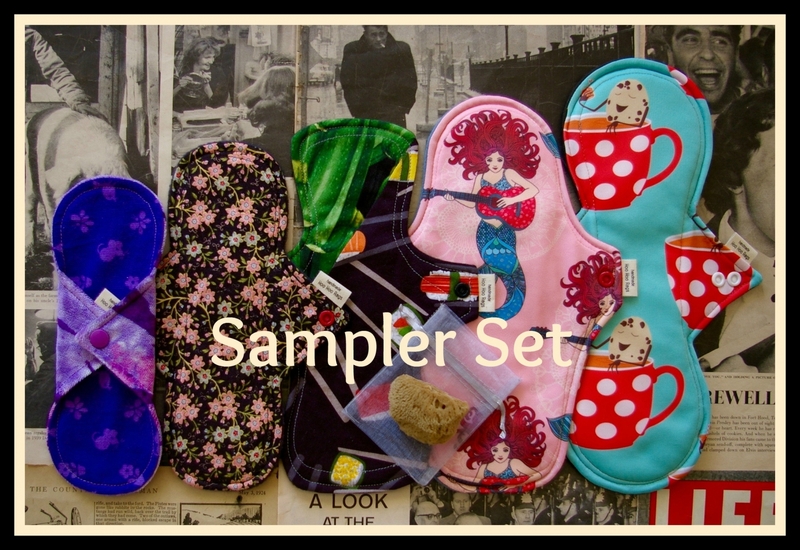 Hoo Hoo Rags offers six different pad shapes to suit as many needs as possible! All of these pad shapes have been designed by me and all pads will be sewn by me also. 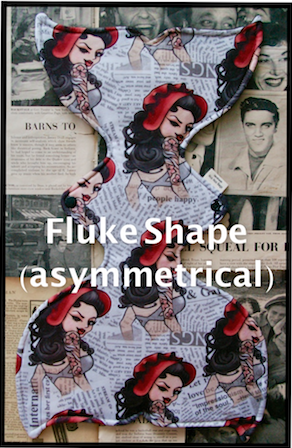 The shapes I have on offer are standard, curvy, contour, wrap, thong and Hoo Hoo Rags exclusive sundae and fluke shapes. My Standard pad offers core coverage equally from the top to the bottom of the pad and is suitable for those who like a more narrow pad. My Curvy pad offers core coverage equally from the top to the bottom of the pad and is suitable for those who like a wider pad, have unpredictable bleeding patterns and or night wear. Liners have one or two layers of flannel and light pads have two layers of cotton flannel in the core. The liners are backed in either cotton flannel, corduroy or micro-fleece while lights are are backed in high-quality Polartec fleeces. Moderate cores have three layers of flannel, heavy pads have two layers of flannel and one layer of terry towelling, super pads have three layers of flannel and one layer of terry towelling and are also backed in the Polartec fleeces. Two snap options at approximately 2.75" and 3" wide and is available in 8"-18" lengths. The Contour is a more tailored pad especially suitable for center bleeding as it is layered more heavily in the center of the pad and more lightly out to the top and bottom and also into the wings of the pad. It can be worn like shown in the picture, or flipped to have the wider side forward. 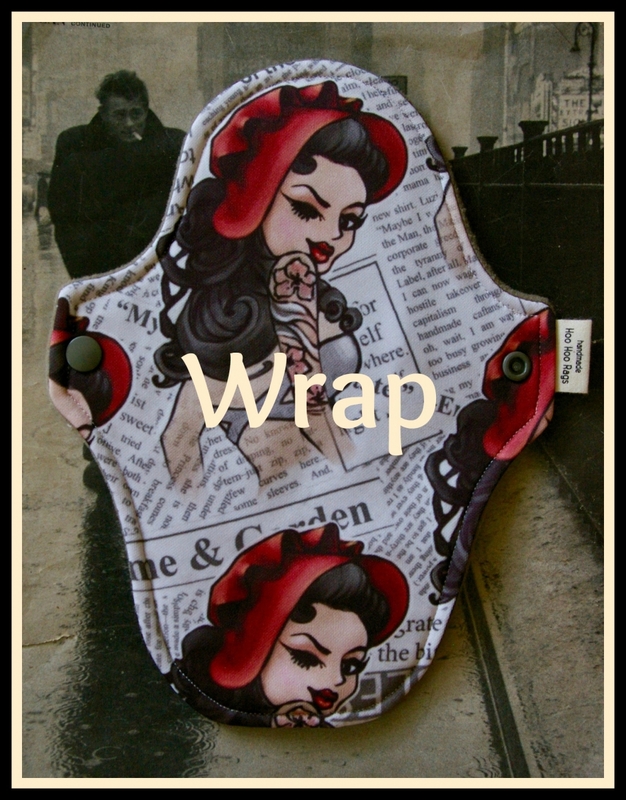 The Wrap shape derived from my contour shape and is a more susbstantial pad in that it offers full coverage front to back (more heavily all the way up the center) and coverage out into those wings. This pad is sturdy and cozy and thicker than my other shapes while still being very comfortable and offering wonderful center bleeder protection. My thong pad is 7” long and is available in three different absorbencies. Moderate pads have three layers of flannel in the core, layered in a way to offer more absorbency down the middle. My light pad is two layers of flannel and the liner has two layers of flannel in the center of the core only. Moderates and lights are backed in a high-quality Polartec fleece while the liners are backed in 100% cotton flannel or micro-fleece. These thong pads have a double snap to ensure no shifting or “tail” and when snapped they are approximately 1” wide at the most narrow part and widen up to 2”. These pads can be topped with organic bamboo velour or sherpa for $1.00 extra. Hoo Hoo Rags designed and exclusive ice-cream sundae shaped pad. 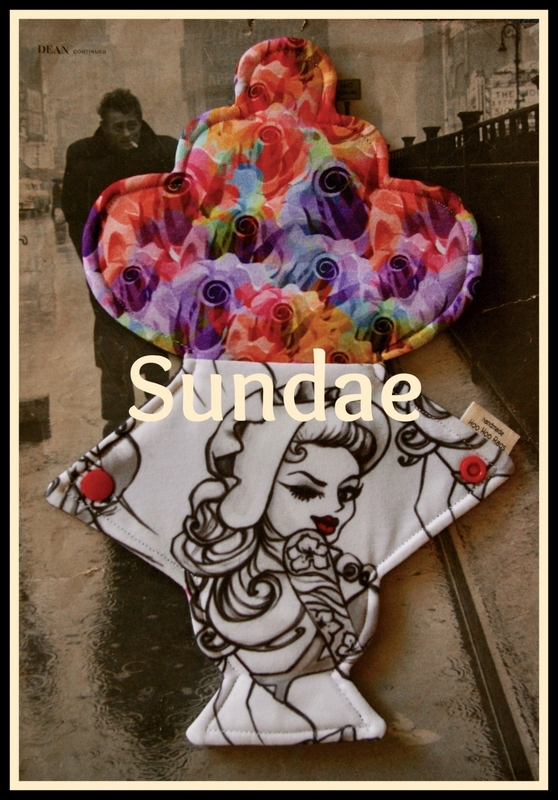 The sundae pad is not available for custom order, it is randomly available in ready-to-ship stockings. (Previews of stockings occur in my facebook group.) The Sundae pad offers core protection equally from the top to the bottom of the pad. The core extends up into the "cherry" on top, out into the "ice-cream scoops" and all the way down into the "stem". The sundae pad can be worn as pictured or flipped if more protection is needed in the back. It comes in three lengths, 11", 12" and 13" and snaps at 2.75" wide, as usual, an additonal snap can be added for $0.20 keeping in mind it snaps best at 2.75" and some bunching will occur with a more narrow snap setting. The Fluke (inspired by a whale's tail) was designed to offer more peace of mind and maximum protection, for night time in particular. It is LARGE and in charge! 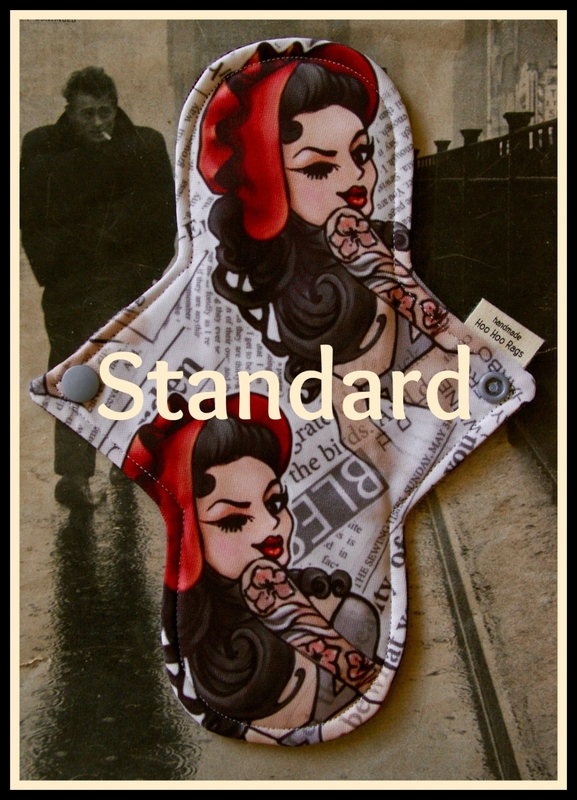 This pad is suitable for any type of bleeding pattern. It is layered my heavily in the center much like my contour and wrap pads as well as offers core that extends out into the wings of the pad. It comes in a symmetrical or asummetrical design. My belief is the asymmetrical is more suited to a smaller framed person, I guaged this conclusion on my own personal preference and I am a small frame. The LARGE symmetrical fluke is nearly 19" long and the flukes/flares are nearly 11" wide. The asymmetrical fluke is 16.5" long and the large fluke/flare is nearly 11" wide, while the smaller one is about 9" wide and nearly 2" shorter than the larger one. The SMALL symmetrical fluke is approx 14.5" long with both flares/flukes approx 9" wide. This pad comes in either heavy or super absorption and there is an option to add an extra strip of terry in the very center for even more absorption. Heavy pads have two layers of flannel and one layer of terry towelling, super pads have three layers of flannel and one layer of terry towelling. The flukes are backed in high-quality water-resistant Polartec fleecees. It has two snap widths at 3" and 2.75" wide. ***Please Note: There is a FIVE(5) customized pad limit per order. This limit is to ensure no one waits too long for custom pad orders. Hoo Hoo Rags also offers reusable shower caps in REGULAR size and LARGE sizes. REGULAR fits most heads and the LARGE is over sized and would be suitable for an exceptionally large head and/or hair. REGULAR is $25 and LARGE is $28. Fels-Naptha stain bars are available for purshase for $2.25 and is my preferred stain remover. 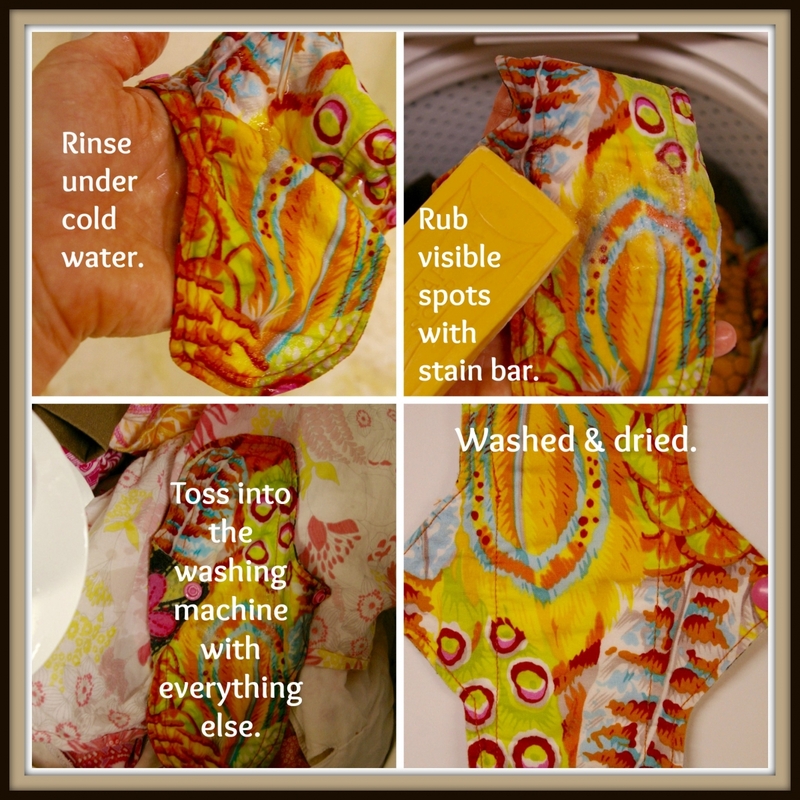 Read down below for my go-to pad wash routine. Jane pink 12oz. cup is $0.90. An additional snap is $0.20. All hand-dyed fabric topped pads have an extra cost. Hand-dyed velours, sherpas, fleeces and knits are much more expensive to buy so 6"-10" pads is $1.00 extra per pad, 11"-16" is $2.00 and 17"-19" is $3.00 extra per pad. Note: The number of layers of core fabrics in the sherpa topped pads differ slightly due to the absobency capabilities itself. Eclectic/Scrap Pads/Exposed core are a a one-of-a-kind creative topped pads, there is a small upcharge depending on the extent of the sewing. $0.50-$1.00. Tumble drying my pads is perfectly okay. Do not wash or dry in very high temperatures or use fabric softeners. Fabric softeners will effect their absorbency. Wet/dry bags can be found for purchase on sites like Etsy and are very useful. I aim to complete CUSTOM ordered pads within 14-17 days. Shipping time is on top of that so genereally an order will be received in less than three weeks, longer of course if shipping outside of the USA. READY-TO-SHIP orders will be shipped within three days of the order being placed. If your order is a combination of ready-to-ship and custom pads, they will ship at one time when the custom part of the order is completed. USA postage is $3.50 per package, number of pads doesn't matter. International orders are charged $5.00 when the order is made...then when the order is complete, I weigh the package and get the exact weight, then I invoice for the remaining amount for shipping. Typically, Canadian orders 1-8 ounces are $9.50 and for 9-30 ounces is $13.50. Other countries are typically around $13.50 for 1-8 ounces and 9-30 ounces is around $23. I am open to holding orders to combine the shipping and make it worth while! Please note, the package movements are not recorded by USPS beyond being recieved at customs in the receiving country...if you would like to arrange tracked postage, please message me.